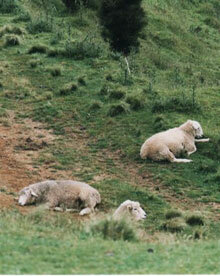 • Sight seeing - explore the rugged, breathtaking coastal scenery. 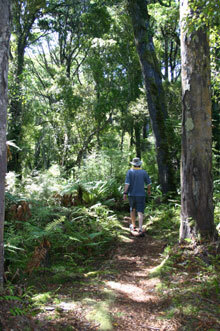 Take time to walk through the forest on the well maintained tracks to some of the many spectacular waterfalls sprinkled through out The Catlins. • Kick your shoes off and stroll down some of our stunning beaches. Tautuku Beach - 10 mins approx, Curio Bay - 20 mins approx, and Papatowai - 15 mins approx. • Enjoy the amazing wildlife - yellowed eyed penguins, sea lions, seals, dolphins, sea and forest birds and this is to name only a few. • Explore the rich history of the area such as the 150 million year old Petrified Forest at Curio Bay. Discover how Maori lived and hunted in this area or how early Europeans carved out an existence and how their presence shaped the country and economy. • Swimming, e.g. at Curio Bay which is a safe beach for swimming - 20 mins approx. 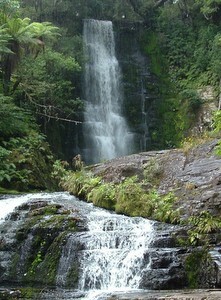 Go to www.catlins.org.nz for more ideas on what to do in this unique location. Please note that our cottages do not have TVs.